The men of this area were predominantly recruited for the British Army. There is anecdotal evidence that some were Jacobites, but following Culloden, they would all have gone to war on behalf of the Crown. Our various estates were required to raise men for the army. 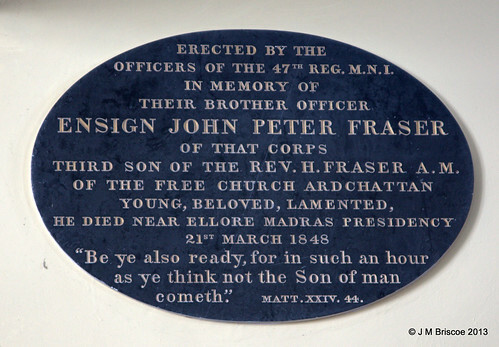 Recruiting men to fight for the wars in America, France, India etc had a significant affect on the land use development as the men spent so much time away, were killed in action; and also to the tenantry afterwards, as returning soldiers were handed land in repayment. This is indeed the picture that emerges when the impact of returning soldiery is considered. (this paper concludes) In the Scottish Highlands, the era from 1739-1815 was a period of transition during which the entire social and economic structure of the area was irredeemably altered. This thesis has attempted to question how the seemingly traditional activity of military service both integrated with and influenced these changes. The War Graves Photographic Project - need the name to search, cannot search by location yet. 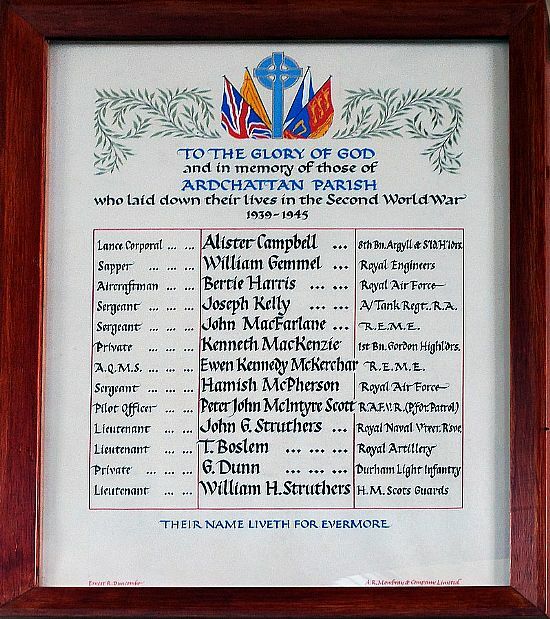 The original aim of The War Graves Photographic Project was to photograph every war grave, individual memorial, Ministry of Defence grave, and family memorial of serving military personnel from WWI to the present day. are there any locals in this disbanded list ? 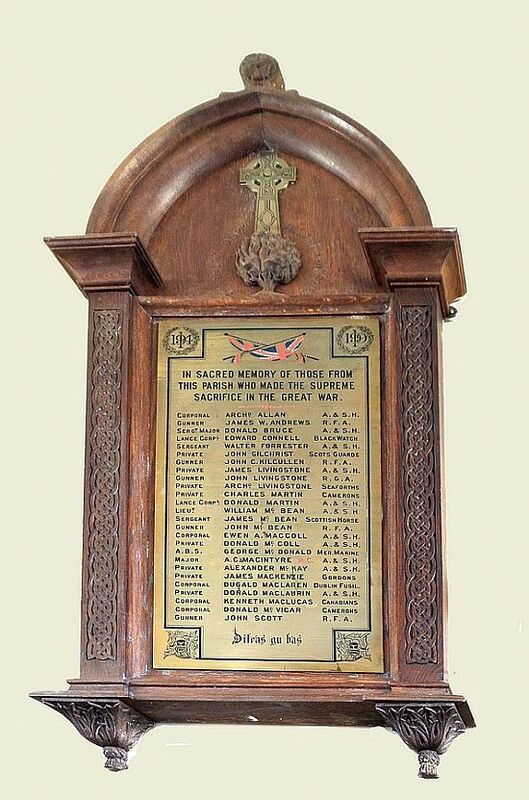 Boer War Roll of Honour in Inverary Parish Church. 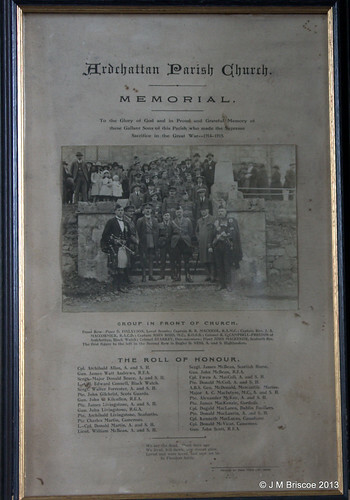 UKNIWM No: 44621 UKNIWM Description: Roll of Service of those who served in the South African War 1899 – 1902 From the district of Glenaray and the Burgh of Inverary. 1. 122).S.R.O., Maclame of Lochbuie Papers, GD 174/1633/3.